9% GROWTH PARTY is committed to long term growth at a rate reaching 9% per annum. Experience with the world's most successful economies shows that this can be achieved by ideas close to those of the founders of Liberalism. We also believe that virtually all economic progress follows from scientific & technological progress, that high technology is inately more efficient & thus less polluting & that scientific progress embodies the best of the human spirit. I will be posting regularly there from now on. I am proud of what I attempted to do with the 9% GROWTH party. The policies advocated then were unquestionably the most progressive (ie promoting progress) of any party in Scotland, indeed by a very wide margin. Even after these years they still are. Indeed moreso since our ruling political class have deliberately put us through an unnecessary recession when we could have had at least 9% growth, and put over 1 million Scottish households into fuel poverty with the world's most damaging "Climate Change Act", allegedly designed to prevent the catastrophic global warming we are suffering from - despite it being admitted there has been no warming, catastrophic or otherwise since 1995. Had we had 9% Growth over the last almost exactly 7 years (the non-EU world AVERAGE has been 6%) we would all be 87% better off than we are, electric bills would be a fraction of what they are (ultimately less than 10% but we would probably not have reached that, yet) and at least 10,000 fewer people would have died during winters because of fuel poverty. While I do not have the control over UKIP policies I did with the 9% Growth Party, UKIP is remarkably close on virtually everything, to what I proposed. I hope, if you agree that what I proposed back then (economic success, cheap energy, individual freedom, human progress, no illegal wars), is better than the recession, poverty, wars, ever growing nanny statism & EU bureaucracy our parasitic political class imposed on us you will join UKIP in our progress. We are currently the UK's 3rd and Scotland's 4th party and despite censorship and smearing by the state owned "balanced - the law says so" state owned BBC, we have the policies and the people to win. - Abolish the Department of Climate Change. - Spare taxpayers the huge bill for needless carbon capture and storage. -. Life will mean life. Six months will not mean six weeks. to jolt young offenders out of a life of crime. - Let pupils leave school early provided they are entering approved apprenticeships or training schemes. - Scrap loans and restore full grants for all Scottish university students. - Give parents the right to choose the school they want their children to attend. - Scrap useless paperwork and enable teachers to do their jobs. - Cut NHS bureaucracy and waste, but make no cuts in front-line treatment. - Introduce Health Vouchers allowing patients to opt out of the NHS and use the vouchers towards the cost of private treatment. - Help Scotland’s small businesses by removing the extra taxes, levies and fuel and energy price increases imposed in the name of climate change. - Abolish costly, useless Home Reports for property sellers in Scotland. - support airport links. It is a scandal that the Edinburgh main line passes the airport runway, but has no station. I don't think there is anything there that an informed patriotic Scot could disagree with. There are very few of them that any of the other parties say they support support (they all claim to be against mass immigration, ditto they have all repeatedly promised to oppose the common fisheries policy, to make growing the economy the "number one priority", having "a bonfire of the quangos etc but well all know they are lying). To be fair the Tories have a similar policy on letting kids leave school to go on apprenticeships which they may possibly mean). But when you look at the fact that there is barely a paper between what all 5 of the "official" BBC approved parties promise (I recently asked a LudDim to name the most important difference and he said his lot wanted to consolidate all the police regions into 1 which would have absolutely no effect on the streets) offer and none of them are actually offering to do anything, what other choice is there? I am told that 82% of Scots get most of their news from the BBC, an organisation that, even by its own admission, will maintain any lie and censor anything, up to and including genocide so it looks like the only party not committed to destroying 58% of Scotland's national income will be censored. Does anybody doubt that if UKIP got 4 times the supportive coverage the Greens do, for their 4 times greater vote at the last election, Scotland would have a genuine opposition and a healthy democracy. Holyrood will shortly be asked to legislate a scheme to take £2,300 million from the Scottish people (£460 from every man, woman & child) to build a new crossing of the river Forth. If the actual cost of such a crossing is less then the people of Scotland are being defrauded & you are being asked to be complicit. There are at least 3 major other options which would achieve the same at far lesser cost. 1) A bridge at a reasonable cost. Other comparable bridges around the world have been built at a cost of around £300 million in today's money. Indeed the previous Forth road bridge cost £19 million which equals £320 million in today's values. The only reason against this which I have been able to obtain from anybody close to government is that there could, theoretically, be some unspecified geological conditions in present day Scotland which would require this. However since this would only be the case if there had been massive & immensely destructive volcanic perturbations in the Edinburgh area over the last 44 years & as this has not been noticed it cannot be taken seriously. 2) The Norwegians have, over the last 3 decades 700 kilometres of tunnels at costs of between £3.2 million & £10 million per km. Since then airform tube manufacturing has reduced the cost of building tunnels in the most difficult ground so this should be feasible for no more than £40 million. Admittedly the Scottish Office claim that it would cost £4,673 million to do this but it is a matter of fact that it has been done for under 1,000th of that cost elsewhere. Even the entire Glendoe power project with 9km of tubed tunnel came in at £160 million which means the tunnelling must have been similar in cost to the Norwegian example. The only semi-official reason I have been given for this disparity is that EU regulations require a 3rd, small, safety tunnel & it seems difficult to see why this should increase basic costs 1,000 fold. 3) Recabling the bridge. This has been done with many bridges worldwide & should cost about £14 million in today's money. Materials available today are very much stronger than those in 1966 when the bridge was completed, indeed carbon nanotubes can be 300 times stronger than good steel. This would be more than is useful but, since the towers have been strengthened since completion it is clear that the bridge road could even be widened to 5 lanes for approximately this price or double decked for a relatively modest price as was done with Lisbon's April 25th Bridge. I am asking all Scotland's MSPs to give the reasons for costs between 8 & 1,000 times what has been achieved elsewhere since there seems to be astonishing reticence on the subject. It should be the case that all MSPs can answer it. Indeed if any MSP proposes to vote for this & has the people's best interests at heart then, by definition, they will be able to provide a credible explanation. I am forced to ask all MSPs because only 1 of all my constituency & regional representatives even acknowledged the question & that answer, referred to in (1) was clearly not credible. Since I am posting this query on my blog I will also be willing to publish your various responses if you are willing. Scots government has an abysmal record of such waste. Scotland's First Minister, Donald Dewar made a specific promise that the Parliament building would cost "not one penny more than £40 million" (& took that lie as an opportunity to launch a wicked personal attack). It cost, officially, £414 million. Between them they have contrived to pay & charge £67 million to build a Skye bridge that should have cost £15 million. Between them they commissioned a rail link to Glasgow for about £300 million & cancelled it at a cost of £41.3 million when all parties knew they had & have an offer on the table from a private company offering to build it for £20 million. I can vouch for this personally. They have embroiled us in spending £600 million in what looks to soon be another cancelled project to build a tram line in Edinburgh when by international comparison it should have been completed for no more than £105 million. It seems difficult to believe that incompetence alone could achieve this result, though to be fair it is equally difficult to believe that fraud alone could. Presumably there are many many other less high profile projects by which the Scottish people have been similarly milked of our money. I hope there will be enough MSPs with integrity to either explain exactly why the Forth project needs to cost 8 to 1,000 times what it needs to cost or to vote it down. I will see if f any of the MSPs feel that it is possible to give a credible answer to any of these questions. If none of them do the conclusion is inescapable. Copies of this open letter have been sent to all our major papers. Again we will see if any of them think the fact that the Forth crossing is up to 100,000% overpriced should be reported. The Labour/SNP/LibDem/Green Parties are all, unanimously, agreed that we should destroy 50% of Scotland's electricity producing capacity, which means approximately 50% of the national wealth of us all over the next 10 years & generally impose ever more fascistic controls over us. They justify this because of the catastrophic global warming fraud which they claim we are currently experiencing. The 9% Growth Party calls on anybody opposed to everybody's electricity bill being 4 times what it would be in a free society; to extensive blackouts by 2015 & poosibly by 2012; to the deliberate economic destruction of the country; & to the imposition of fascist controls on us all to use your vote in support of the leading local party which also opposes this. 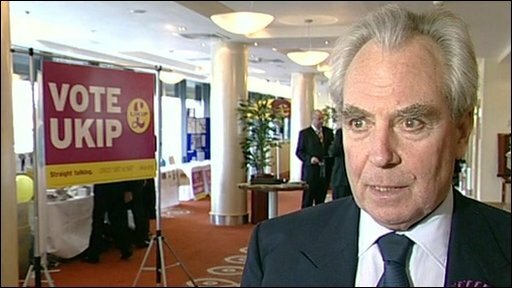 We are particularly impressed by UKIP. 5 - Defence spending should be aimed much more at technological innovation - this policy is to much fighting the last war. However having more soldiers than MoD clerks is radical, if only by the standards of the others. THE Glasgow airport rail link, social housing and economic development have become the first major casualties of the Scottish Government's spending cuts. The axing of the £115 million rail link was the most high-profile of a raft of cuts announced by finance secretary John Swinney yesterday in the draft budget for 2010-11. This rail link was always political pork barrelling for the Glasgow Labour establishment. When the previous, Labour, administration set it up their own inquiry said that it made no economic sense & indeed would not have done so even if it achieved twice the expected passenger levels. Back then the cost was indeed quoted at around the £115 million mentioned but it has been rising ever since to anything up to £400 million now. However the government already have an alternative on the table. ULTra, who are building am automated monorail for Heathrow offered to build a monorail from Glasgow Airport to Paisley Gilmour Street railway station for £20 million. This, as I reported previously, & again was rejected on the grounds that, without seriously investigating it is not be seen to be "so completely superior" to the rail link as to be worth investigating. I suspect that if an actual assessment were made of the monorail option it would indeed be found not merely to be an order of magnitude cheaper but also superior. * Because there are trains from Paisley to Glasgow Central every few minutes it would usually be quicker than waiting up to half an hour for special trains. * Creating a hub airport - Paisley Station is on the same line as the station at Glasgow's other Airport, Prestwick, to which trains already run regularly. Thus this link would allow people to cross connect turning the 2 airports into a regional hub. * Modern appeal - monorails, particularly fully automated ones do give an impression of modernity that traditional railways don't & would make an appealing gateway to Glasgow. * Speed of construction. The world's first passenger monorail, constructed in 1888 between Listowel & Ballybunion, a distance of 9 miles, took under a year so, with modern technology, it should be easy to have this 1 1/2 mile stretch built well before the 2014 Commonwealth Games. * Encouraging innovation in public projects - there are many such public projects which seem to be rejected purely because of what looks like Not Invented Here syndrome (this happened to a Forth Tunnel which could cost a few tens of millions & to the Scottish Tunnel Project which could have revolutionised the whole Scottish economy) but one such project could lead to others. * Land saving - since a monorail moves above the ground almost no land is taken out of use. * Ease of access - Gilmour Street Station is already elevated so a monorail from the upper level of the terminal to the station platform would be a simple & easy trip. * Government investment - a growing economy has to invest as well as just current spending. By cutting this project the SNP government has ended one of the very few actual government investments is existence. * Green - since the Scottish Parliamentarians have, unanimously, decided that not creating CO2 is so important it is worth destroying half the Scottish economy the importance to them of the fact that small monorail cars travelling such a short distance use little energy & since there need be no trains added to an already good service there would be no extra there, literally cannot be overestimated. While it would save many cars & buses. There was also a cheaper version involving a 1,000 yd monorail to the Paisley St James station which would run roughly along the spur the proposed railway would have taken. Since it attaches to much less used line than the main proposal it would , though cheaper, have far fewer train connections & only has the advantage of being the lowest bid. On the other main cut proposed - cutting spending on social housing - I blogged a few days ago about how how using shipping container sized modular housing units could produce as much housing as wanted at a very much lower cost than current building. This would require some reduction of government regulation which currently appears to be designed to prevent the building of affordable housing but if government can no longer afford to, at the same time, subsidise such housing removing barriers would be a more efficient compromise. SARAH PALIN, HOPEFULLY AMERICA'S NEXT PRESIDENT. She has quit running Alaska & the US media have been attacking her restrained only by the fact they know the people there know what she stands for. Britain's media are not so restrained. is one which sets her directly against Obama & is very close to ours. All she would really need to match ours would be an X-Prize Foundation & I have hopes she will go for that. If only even one of the Scottish MSPs who unanimously voted to destroy 42% of our economy had 1% as much integrity & gumption as her. Meanwhile expect our press, broadcasters & politicians to continue being surprised & affronted & not a little scared that ordinary American people no longer want politics, lies, bureaucracy, quangos for the boys & failure as they have been able to serve up to us here for so many decades. "THE RECESSION WILL LAST LONGER IN SCOTLAND, ON THE BRIGHTER SIDE THE CLIMATE CHANGE BILL PASSED UNANIMOUSLY"
Which demonstrates that the allegedly impartial non-party BBC is quite open about its commitment to eco-fascism. Another reporter then stated "climate change is happening, that is beyond doubt". The 9% Growth Party challenges the BBC to explain why, with temperatures having dropped since 1998 & currently falling faster it, is impossible to doubt they are currently rising at a catastrophic rate. We undertake to publish a BBC reply if they feel it possible to defend this total & totally party political, lie. With current falling temperatures & the fact that there has never been any actual evidence for catastrophic warming the 9% Growth Party say that it is now impossible for any honest politician or journalist to maintain the case proven for warming. Any attempt to obtain money by making this claim is clearly fraudulent. "In 1856 a young African woman Nongqawuse said that the ancestors had ordered that all cattle be killed, that all stored grain should be destroyed, that no grain should be planted and that everyone should purge themselves of all charms and witchcraft. If this were done then the world would be saved, the Xhosa people fed & all would be well. Not all believed, not even all their leaders & indeed threats & violence were used against sceptics & deniers. The mob hysteria was unabated even when the first predicted dates for this transformation failed to happen. Finally it was predicted that the Sun would rise coloured red on 16th Feb 1857 & unlimited cattle be provided by the ancestors. Obviously the Sun rose the normal colour, the Xhosa were not fed & 10s of thousands of them starved to death. Compare & contrast this with the Scottish Parliament which has unanimously, unlike the Xhosa leaders, adopted a law that we should destroy most of our economy. The correlation between energy consumption & wealth is one of the clearest in all economics. As part of what has correctly been called "The War Against Fire" they wish us to destroy 42% of Scotland's fire producing facilities over the next 11 years & 80% by 2050. In a display of added insanity they want to close down the only substantial other source of power - our nuclear generators. This will ultimately reduce us to a level of energy usage & therefore standard of living unknown since Victorian times. We will sink into a 3rd world society as the BRICK (Brazil, Russia, India, China, Korea) become the dominant 21stC economies. Nor do the Holyrood MSP's have the excuse of ignorance the Xhosa tribal leaders had. They lived in a world where people genuinely believed in the magic powers of the ancestors whereas we know that the scientific method works & that a science is only as good as the experimental predictions it makes. While Nongqawuse's predictions had less than a year to fail "catastrophic global warming" has had 30 years now & we know global temperature is not now demonstrably higher than 1979. Like all other massive catastrophe predictions made by our self appointed "environmentalist" shamans (global ice age, acid rain, pollution caused cancers bringing life expectancy down to 42 by 20 years ago, peak oil by 1993, increasing millions of deaths by starvation annually starting 30 years ago, radiation deaths etc. etc.) global warming, even when rebranded as "climate change" is not only a "theory" but one disproven by massive evidence. Every single MSP knows this. Every single journalist pushing this hysteria has seen the facts. They are doing this merely because it increases their power & sells newspapers. Not a single one of what is now de facto a single party in Holyrood can ever again claim to be in any slightest way motivated by a duty to help constituents. Not a single one of these parasites can claim to be honest. Since nearly 3,000 Scots already unnecessarily die, annually, from fuel poverty we may expect the ultimate death toll in Scotland from the War Against Fire to greatly exceed the 1856 hysteria." Using figures issued by the BMA that each reduction by 1% of GNP causes 21 deaths per 100,000 (ie 1050 across Scotland) we have been able to calculate that the Climate Change Bill will provably cause the deliberate & unnecessary deaths of 6,346,050 Scots over the next 91 years though this excludes lives which would be saved or extended if there would otherwise have been any economic growth in those 91 years . he calculations are clear, verifiable, simple & involve no hidden algorithms & are therefore much more valid than any estimates produced by the IPCC, let alone Al Gore. Calculations are accessible here & have not been disputed as to fact. That being the case the unanimous decision of the Scottish Parliament to order these deaths proves either, in the generous option, that every single MSP is clinically insane. The less generous estimate being that, for the sake of power, money & the chance to impose ever more control over the people of Scotland & to produce fear they have deliberately engaged in mass murder, treason & an attempt to destroy civilisation. If so they could only be barbarians who do not understand civilisation & wouldn't like it if they did. The 9% Growth Party calls on Her Majesty to dissolve the body & bring its murdering treasonous fascist members to trial, if judged sane. -Last, but never least, we will bring in fair prices and fair competition for our suffering farmers, and restore traditional British fishing and territorial waters. FREE TRADE WITHOUT EU RESTRICTIONS WOULD SIGNIFICANTLY REDUCE FOOD PRICES TO THE CONSUMER & FREE FARMERS FROM THE GOVERNMENT FARMING REGULATORS (A CLASS WHICH CONTAINS MORE PEOPLE THAN THERE ARE FARMERS. ALL IN ALL A SENSIBLE PROGRAMME WHICH WOULD KEEP THE LIGHTS ON AND SIGNIFICANTLY IMPROVE ECONOMIC GROWTH. WOULD BE NICE IF THEY HAD A MENTION OF X-PRIZES BUT YOU CAN'T HAVE EVERYTHING. THIS IS CLEARLY A CREDIBLE AND SENSIBLE PROGRAMME WHICH IS HEAD AND SHOULDERS BETTER THAN THE OTHER PARTIES. The EU’s Enterprise Commissioner Gunther Verheugen said in an interview with the FT this week (OCT 2006) that EU legislation now costs European business €600 (£405 billion) a year, on the basis of a new evaluation of the administrative costs of red tape. It is impossible for anyone with the slightest self respect to vote for people we know to be corrupt lying war criminals who clearly have no respect for those who voted for them. And UKIP don't lie about the Catastrophic Global Warming we are all allegedly suffering from like the rest of the tax increasing leeches. UPDATE The blogger Mark Wadsworth has told me that he was involved in drafting their policy on eorkfare & pensions & that, though much to complicated to explain in a 1 line sentence it is practical. Having read his blog I accept thaty. 1: Cut government spending by £3 billion (10%). Since we spend about 20% more than the UK average per head this is clearly practical. 2: Endorse nuclear electricity. We could still persuade the French to invest heavily here if we were sufficiently enthusiastic about letting them build. 3: End business rates. This is a pretty extreme step, in principle business should pay something, but we are in a drastic situation. This is a fairly close analogy to cutting corporation tax to 12.5%, like Ireland's for which we need Westminster support & though the SNP are committed to doing so they don't seem to have been putting on enough pressure. In theory cutting CT is marginally more effective because it rewards the most profitable best whereas rates rewards the most property intensive but it is a relatively marginal difference. This would cost about £2 billion. 4: Cut the laws on Health & safety & other regulations & the enormous bureaucracies that enforce them which do so much to push up the cost of projects here. 5: Tell Donald Trump he can start investing his £1 billion tomorrow morning. Apart from his own investment how many billions have we lost by convincing other potential investors they would not be welcome? 6: Cut the regulations that prevent people building houses. 7: Provide an interest free bridging loan of 20,000 pounds to any off site manufactured home for the period from completion of manufacture until installation & a grant of 5,000 pounds to direct purchasers of such homes, so long as they are for their personal use as first homes. This system to last only until we are building 30,000 a year. This would encourage the establishment here of a modular housing industry which, in due course, the English would be clamoring to buy. 9: Forth Tunnel instead of bridge & start digging tomorrow. Since the official cost of the bridge has been reduced to two & a half billion massive savings could be made this way & it would be ready far earlier. 10: Privatise Scottish Water thus saving the over £200 m it gets annually. 11: Schools vouchers. It should be a matter of shame & is instead a matter of complete disinterest in our media that our schools, for the first time ever, are underperforming southern ones. The long term future of the nation depends heavily on education. 12: Fully automate the Glasgow-Edinburgh train system. 13: Stop subsidising bloody windmills. Apart from the total waste of money we have as beautiful a countryside as anywhere in the world & should stop desecrating it. This would save between £500 m & £1 billion depending on whether we are allowed to end the subsidy to the production of electricity as well as to building the windmills. 16: £1 billion to cut Scottish income tax by 3p, the full amount allowed. If that doesn't get people wanting to move here nothing will. 1 - Cut the size of government spending - I would go for a no new hires rule & price freeze in the government, probably excluding new doctors & a few other proven front line requirements - this should be about a 5% real reduction year on year. Also completely prune particular departments described later. 5% of the budget is £30 billion so including both actions over a couple of years that is probably about £100 billion. Mark Wadsworth comes up with a similar figure from different directions. This doesn't itself increase the economy, indeed cutting the non-productive £100 billion would cut the economy by £100 billion (ie 7%) but gives us money which can be used with a real multiplier effect & long term growth benefits. 2 - Cut corporation tax to Irish levels - cost about £30 billion & this is the main bit of what got Ireland's growth up from 2% to 7%. 3 - Lets go overboard & cut business rates too - about £20 billion at half the effect. 4 - Gut the Health & Safety Exec - if it saves the work of 4 million workers that is 14% of the economy. 5 - Allow the free market to build as many nuclear plants as the market needs, starting tomorrow. There are arguments for & against the government paying for & owning it but lets keep it simple & at zero cost. 6 - Improve transport - better roads, particularly motorway junctions, allowing airports to expand & the road tunnels project. Cost a few billion. Improving transport infrastructure is one of the things where government expenditure actually works. 7 - Adult job training. Hire retiring plumbers, electricians etc etc to do evening classes in some of the schools empty in the evenings. Adult, particularly male, technical education is the part of education which shows real worthwhile payoff in productivity. 8 - Automate the rail system & introduce lightweight vehicles based on road vehicle technology. My guess is this would be about £10 billion annually but once it is done rail costs go way down & capacity way up. 9 - Quit the EU. The Bruges Group have said the EU costs us £55 billion in direct costs. The EU's Enterprise Commissioner says the regulations alone cost £405 billion - ie £67 billion to us. 10 - Allow almost unrestricted housebuilding & encourage modular methods. This should let them cost about 1/4 the present price. Housebuilding is pretty much the biggest industry in any country & that would give us an enormous boost. 11 - End most of the sort of "environmental" regulations which have stopped Trump investing his £1 billion here for 3 years. This alone has cost the Exchequer £360 billion (£12% a year). 12 - This has already been done, albeit accidentally & need not be extended - Letting the £ drop is a major stimulus to the productive sector though exports. It worked in Major's time too - also accidentally. 13 - An X-Prize foundation & a free market regime on Ascension Island as a British Space base. So long as the Foundation is guaranteed an increasing amount of money at approx 5% above the rate of growth & able to offer prizes based on what the fund will be in future it can offer multiples of the current cost & in turn the gain to the economy will be multiples of that figure. Of course if nobody wins such prizes it has zero cost - that being the worst case scenario. I would suggest £1 billion a year as starting payment which would certainly put us at the top of the space & high technology trees attracting many times that level of investment & even more importantly, many of the world's best brains. 14 - I see that though we have saved £155 billion plus we have only spent about £70 billion. Put the rest into cutting taxes (28p off income tax or equivalent!). I would also support raising alcohol taxes since it discourages something socially damaging whereas most tax discourages productive stuff. It wouldn't take many years of excise duty rising faster than a Chinese style growth rate to pay for all the size of government here. 15 - Build some floating islands, probably around Ascension island, probably about £1 billion each. 16 - Make a purchase guarantee for a factory to mass produce turnkey operation nuclear reactors in Britain, for use here & around the world. If it can be done with a new design & much smaller & hence less economic reactors it can be done for normal 1 gw ones. Invite the best designer, probably Ariva or Westinghouse (which used to be British owned but the government forced British nuclear to sell it off). We guarantee that if they can make a production line turning out one, turnkey operation reactor, a day we will purchase the first 2 years supply at cost if they can't sell them abroad. Assuming £350 million (70% of the current minimum price) a shot that puts us on line for a £255 billion liability & I am working on the assumption that, since there is currently a backlog they would actually sell. That is a bet but a reasonable one & if it works we would lead ourselves & the rest of the world to unequalled prosperity & end up with the sort of role in building the world's electrical power that the US has exercised for decades in world aircraft production. - I think it would be conservative to say that most of the above individually, excluding #1 in each set, would increase growth by more than 2%. It would be optimistic to assume they would all work cumulatively but but even so that would be pretty good. Alternately doing only a small amount of this would still have us matching the most successful economies in the world. 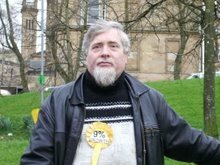 Tavish Scott the new Scottish LibDem leader has broken one of the taboos in Scottish politics. He has said that it is desirable to use our right under the Scotland Act to cut income tax. "We should use the Scottish Parliament's power to cut income tax by two pence in the pound." He should be commended for this complete reversal of party policy. The Conservatives must, quite deservedly, be feeling sick as a flock of parrots for not saying this first. We can be certain that he has not done this without checking with some focus groups that the public want it. As somebody expelled from the Lib Dems for supporting lower taxes on the grounds that this was "illiberal" & "too right wing" to even be discussed I am pleased to see that eternal liberal principles have changed in the intervening 2 years. As leader of the 9% Growth Party, the only party to have campaigned in last year's election for cutting Scottish income tax I am pleased to see that Mr Scott is now a follower of ours. In the same way while we were the only party to campaign for new nuclear power, the Labour & Conservative parties have now followed us on that. To round it off, since we supported X-Prizes for space development, the SNP have offered one for a sea turbine & subsequently,& quite possibly consequently, John McCain offered one for an improved battery. Nonetheless I cannot fully endorse Mr Scott's about face for 3 reasons. 1) He has made no specific proposal as to how it should be paid for. We said that a 3p cut should be paid for out of the £1 billion a year of pointless windmill subsidies. 2) 2p is a very silly figure to choose. There is a fixed cost in changing the rate which is about equivalent to 1p income tax. Therefore it makes financial sense to go for a 3p cut or nothing. 2p is falling between 2 stools. 3) We have been quite clear that the first priority is encouraging growth & that the way to do that is, as the Irish did, by cuts in corporation tax & rates which should be the priority. Desirable though income tax cuts are it is obvious that a one time only 2p in the £1 cut will provide only a fraction as much to ordinary people as Ireland's 7% growth (let alone the 9% we are committed to), year on year. Mr Scott is to be commended for making a single belated, half hearted, cynical about turn somewhat in the direction of economic sanity. Let us hope that, though he has been the first to break ranks on this issue, He will not be the last..
"I am favour of cutting taxes under any circumstances and for any excuse, for any reason, whenever it's possible." to quote Milton Friedman. It may be the wrong tax to cut & by a silly amount but it is to be welcomed. Our party may be small in votes & members but almost everybody in Scottish politics is now among our followers, which is a good start. Evidence given by Dr Patrick Collins, Director of Space Future to the Commons Science & Technology Committee 21st Feb 2007. The 9% Growth Party has repeatedly said that we should be funding a British X-Prize Foundation from the money we currently give to ESA. If this is too forward looking for British politicians we should right now put up the £50 million to allow these regular sub-orbital flights. While it could not itself achieve orbit the original did carry 2 rockets & a modern version would be much lighter because of modern materials. That means it is likely that it would be able to launch rockets able to carry small satellites. Beyond that it would certainly be able to carry experiments to test manufacturing in zero-G. The potential number of materials that can be mixed, produced as chemical compounds or manufactured in zero-G considerably exceed the total which can be done in a gravity field & some of them are bound to be valuable, for example crystals created without being distorted by gravity can be larger & stronger than any we can now produce. Having the ability to launch small satellites & carry out microgravity experiments would be worth many times the £50 million investment even if it wasn't worth doing simply for Britain to have something to be proud of. The 9% Growth Party laments the lack of vision of our representatives who have done nothing since getting this evidence. It would cost them the equivalent of 3 1/2 windmills or 2 years subsidy of opera at Covent Garden so they cannot claim it is not affordable. For once the 9% Growth party are going to agree with the Greens. They don't want this either. The Scottish government have decided to build a new Forth Bridge. "A new bridge is to be built across the Firth of Forth, just west of the existing suspension road crossing. The cable stayed-style bridge is due to open in about 2016 and will cost between £3.2bn and 4.2bn. Finance Secretary John Swinney told Parliament that concerns over the future viability of the existing bridge meant the government had to act now. He went on: "It will be an iconic structure. It will maintain a fundamental link across the River Forth. It will create a new and better connection to our transport infrastructure in west and east central Scotland. The five-and-a-half year construction project is expected to get under way in 2011, with a competition to find a constructor due to be launched the year before." Back when the cost was a mere £2.5 billion (June this year) I asked why it was so high. The previous road bridge cost £19.5 million which converts today to £314 million. I have asked why exactly real costs have gone up 8 times (now 10 to 13 times) & received no answer except for an implication it is "environmental" & other paperwork costs. The £314 seems in line with overseas experience such as the 2.1 km Sydney cross city tunnel at £300 million. The official cost of a tunnel is even higher & very much looks like it has been set high so that it will make the bridge look good. We know the Norwegian government have been building tunnels at between £3.5 & £11 million per km which should produce a Forth tunnel at about 1% of the quoted price. The laws of physics are the same on both sides of the North Sea. I don't believe the rush to build this based on the original claim that the current bridge was about to fall down because the cables were going. This story seems now to be winding down & I very strongly suspect it will be found possible to re-rope this bridge for about £10 million - just after contracts are signed on a new bridge. If so then there is no urgency & we need not be bounced into this. We are entitled to know exactly why the Scots government cannot build things at less than 10 to 100 times what it costs in the rest of the world. If it is regulatory we should remove such regulations. If it is corruption we should prosecute. The point about buying a pig in a poke is that it is unwise to buy without seeing what it is. This applies equally when discussing a £4.2 billion pig. Any new crossing should be openly arrived at, knowing whether it is actually needed & with an open bidding process including foreign bidders. Bidders should be invited to quote for any form of crossing - so long as it does the job. We are also entitled to full explanation of why building costs so much higher in Scotland. Only when all facts are on the table should a decision be made. I note that, unlike the last bridge this is going to be toll free. Perhaps this is due to the generosity of taxpayers towards motorists or perhaps it is because with probable interest payments on this running at at least £300 million a year there is no possible way that tolls could pay for it, as they did for the previous bridge & not charging anything handily conceals that this project makes no economic sense. Running a single tram line across Edinburgh will cost £600 million & the Labour, LibDem & Tory parties have outvoted the SNP administration to keep this boondoggle going. EARL the proposed train link to Edinburgh Airport, officially costed at £610 million, but for which virtually no work has been done may be successfully canceled. The previous Executive decided to spend £200 million on a rail link, agreed to be uneconomic between Glasgow airport & the city centre when they had an offer for a monorail link via Paisley station for £20 million. A new Forth Bridge is being costed at £2.5 billion, far above previous estimates of about £1 billion. By comparison the original road bridge - "Mott, Hay and Anderson and Freeman Fox & Partners designed and constructed the bridge at a cost to £11.5 million, while the total cost of the project including road connections and realignments was £19.5 million." Further comparison according to this site the modern price of something costing £19.50 should be £314.96 so the new proposal is 8 times more than the the present day cost of the original bridge. The proposal for a tunnel comes in at a figure I cannot believe is meant seriously but only to discourage interest in anything but a bridge - £4.7 billion. Give the job of building a new forth road bridge to the French, The Millau viaduct is a beautiful example of French engineering and cost only £320,million! What set me off to put this here was an announcement today that by comparison with the expense of such projects here Germany & Denmark have just agreed to build a bridge costing £3.7 billion pounds. It is a 20 kilometre bridge. We are talking about public projects in Britain costing 10s, possibly several 10s of times what they cost abroad. I can see no technological reason for this & if anybody can think of a reason, other than a cosy relationship between favoured suppliers & the civil service involving massive fraud I would be interested to hear it. For once I am with the EU - all such projects should be put out to tender & not with the self serving conditions used to fake a tendering process for MacBraynes (eg requiring ferries which, coincidentally, happened to be MacBraynes ferries) but instead with the broadest possible requirements viz "any form of crossing as long as it can carry the traffic". Reminds me of a scene in I Claudius where Claudius, having been told Rome needs a new harbour & given estimates looks up the records for a similar scene in Octavian's time & finds that his civil servants have given him a vastly inflated figure. let us now consider the9% Growth Party. I met the 9% Growth Party - Mr Neil Craig as he is also known- when went to The Doublet bar in Glasgow to have a pint and avoid elections for a wee while. Craig, whose science fiction book and comic shop Futureshock is nearby, was handing out leaflets. "No blackouts. No vindictive bans", the leaflet said. I assumed he was talking about the pub: Don't drink so much you have a blackout, but even if you do, you should not necessarily be barred. But no, it transpired the "blackouts" is a reference to nuclear power, of which the Glasgow regional list candidate is in favour.The"vindictive bans"isa reference to the Scottish Executive's unilateral prohibition on smoking, to which he is opposed. The leaflet also promised "Double your income in eight years", which sounds a decent enough electoral bribe. In Craig's brave new world, all business taxes and fiscal controls will disappear. And with 9% compound growth, income apparently doubles in eight years. (Well,it does if you are an entrepreneur. If you're on a pension, it might be a little more difficult.) I suggested to Craig that he might have given his movement the snappier title of the Double Your Money Party, but he thought people might get confused with Hughie Green. Our Mr Craig is not very green. He thinks climate change is a myth; he tilts firmly against windmills; he thinks the Green movement has killed more people than Hitler. (Check it yourself: Google "9% growth party + Hitler".) Mr 9% does have some sensible policies, too. He wants to automate the Glasgow subway with driverless trains running 24/7 and do the same with the Glasgow-Edinburgh rail link. Less convincing is his proposal to build a tunnel from Oban to Mull to make the island more accessible to fans of Balamory. It says on Craig's CV that he was chucked out of the LibDems for illiberality which, in itself, is quite an achievement. From Tom Shields in the Herald. Had an 8 year old child with a pocket calculator been available Mr Shields could have confirmed that 9% growth over 8 years does indeed double income for everybody but clearly he does not move in such intellectual company. Beyond that he actually seems to know what I was standing for & is apparently a train enthusiast. The Herald & Sunday Herald declined to publish my response. I thank Tom Shields for his approval of the 9% Growth Party's proposal for fully automating the Glasgow underground & Glasgow-Edinburgh lines. He is quite correct that I support putting new nuclear in to replace the 50% of our electricty production which is reaching retirement. This is a matter on which the larger parties have specificly refused to debate. I'm afraid if we lose half our power massive blackouts are obviously inevitable. Burying our heads in the sand, as the big parties do, is grossly irresponsible & will not make reality go away. The tunnels proposal is based on the Norwegian's achievement of building 740km of tunnels over the last 20 years. A series of tunnels at Gourock/Dunoon & crossing to Kintyre, Bute Arran & as he says, Mull making it a simple drive from there to Glasgow would greatly improve the prospects of all. Tom expresses some doubt about the effect of 9% Growth. Doubling income in 8 years at 9% growth is how compound growth works. Try getting a pocket calculator & multiplying 1.09 by totaling 8 times & you will see it. Mathematically it is known as the Rule of 72 since doubling, except in very short time periods, requires 72 points of growth. Thus at Scotland's current growth rate of 1.5% doubling takes 48 years while at 10% growth the income of the Chinese will have doubled & doubled & doubled & doubled & doubled & doubled & close to doubled again. This is part of why getting the economy growing would be so very valuable for all of us, rich & poor, as I hope, thinking it over, readers will appreciate. In 2015 new EU emission controls will come into effect forcing the closure of our high emission power stations. We will then be down to 2/3rds of current electricity generating capacity. In 2023 the Torness nuclear station will close & 1/2 of our power will be gone. If we do not replace this, indeed if we do not increase current capacity in line with our hopefully, growing economy we are going to have massive & continual blackouts. In Britain we already have 24,000 deaths per year, mainly pensioners, because of fuel poverty but a further unnecessary massive increase in deaths will be inevitable. The 9% Growth Party calls for immediate approval in Scotland of proven designs & proven sites & to allow the building of enough reactors to satisfy demand. Whether this is done by government investment or private enterprise is unimportant - why is important is that it is done before the lights go out. If we do this the fact that France is currently producing 80% of the electricity it uses from nuclear at 1.3p a unit. This is half what conventional power costs, 1/4 what onshore windmills cost & 1/6th of offshore wind. To do so would virtually end fuel poverty in Scotland & massively improve our economy. Only we are facing this problem. In 1989 Ireland, which was then in an economic depression, cut corporation taxes & some regulations - immediately their economy boomed. Since then they have achieved an average of 7% growth per year with a peak of 11%. That is why Ireland has gone from 2/3rd our standard of living to 4/3rds & is now, per capita, as rich as the USA. Our leaders should have noticed this years ago but it is not to late. If we cut our corporation tax, possibly in several steps, to Ireland' 12.5%, do the same with business rates & look at our regulatory regime, particularly the regulations which prevent housebuilding. If we do this we can reasonably expect to do better than Ireland since we have a stronger tradition of scientific & enterprise. If we also allow the building of the sort of modern nuclear plants which are producing power in France a 9% growth rate is fully achievable. A century ago 80% of the metal hulled ships in the world were Clydebuilt. This is not a plea for going back to shipbuilding it is a plea for Scotland to regain the spirit of science, technology & entrepreneurship which allowed us to build the Clyde as the leader in what were then the world's greatest high technology industries. Scotland has fallen to a political elite whose reaction to any form of new technology or new ideas are to regulate them out of existence. This drives the fruits of our science abroad, which is why so many of those who developed Dolly the sheep are now working in Singapore. We wish to see our government support progress not decline further into the Ludditism of windmillery & dependency. We support human progress & absolutely reject the doomsayers who tell us the we have no future. In many was, in both engineering & philosophical terms Scots invented the modern world. The engineering of James Watt & the economic philosophy of Adam Smith should make us proud of our heritage, but also eager to live up to it. The classic liberalism of Smith is sweeping the world producing growth from Ireland to China. We can & should learn from the nations we have taught. Scotland's greatest days can be ahead of us IF we choose. 1) Stop blackouts. Act before we lose 50% of our electricity. 2) 9% growth using the methods that gave Ireland 7% on average & 10.5% in a good year. 3) Reform planning regulations. In 1907 a house & car cost the same - the difference is that planning regulators restrict housebuilding. 4) Stop subsidising windmills. Save £1 billion. 5) The smoking ban is an illiberal restriction on individual freedom. End it. 6) End fuel poverty. France produces 80% nuclear at 1.3p a unit. We can do the same. 7) A needs based transport policy. The previous Executive were committed to spending 70% of their transport budget on public transport (code for railways) though it makes up only 3% of traffic. 8) Tunnels project. 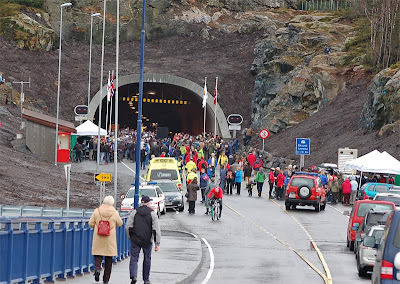 Norway built 740km of tunnels at £7 million per km. We should do the same making it a short drive from Glasgow to Dunoon, Rothesay, Kintyre, Jura, Islay & Mull etc. Fully automate Glasgow's subway allowing it to run at lower costs, greater capacity & 24/7. 9) Fully automate Glasgow's subway allowing it to run at lower costs, greater capacity & 24/7. 10) Fully automate the Glasgow-Edinburgh train with the same effect. 11) Ultimate aim of a fully automated Scots rail transport system. 12) 2% cut in civil servants annually. 13) 2% government efficiency savings. Almost any private business trys to incresae efficiency at least that much & their is more scope in Holyrood. 14) Don't spend £610 million digging a tunnel under Edinburgh Airport. Make sure other government projects at least come close to making economic sense. 15) 3p cut in Scots income tax after funding of business tax cuts to provide growth. 16) No new politically correct vindictive bans. The smoking ban was NOT in manifestos at the last election. 17) A Holyrood committee to find & abolish counterproductive laws & regulations. 18) A schools vouchers system. 19) Allow schools to impose discipline. 20) Make a DVD of Scotland's history & post it to Scots, or those with Scots names, over the world. Include links encouraging Scottish tourism. 21) Establish a £20 million X-Prize to encourage space satelite industry to locate in scotland. 22) Establish an X-Prize foundation funded from the Scots contribution to the lottery to encourage high technology in Scotland. 23) Widen & improve the M8. 24) If Gore's silly film must be shown to Scots schoolchildren let them see the alternate view, AS THE LAW SPECIFICLY REQUIRES. 25) 54% of all money spent in Scotland is government money. Cut this. 26) Instead of knocking down Glasgow's high rise flats they should be given, free of charge, to those occupants who don't prefer to be rehoused.